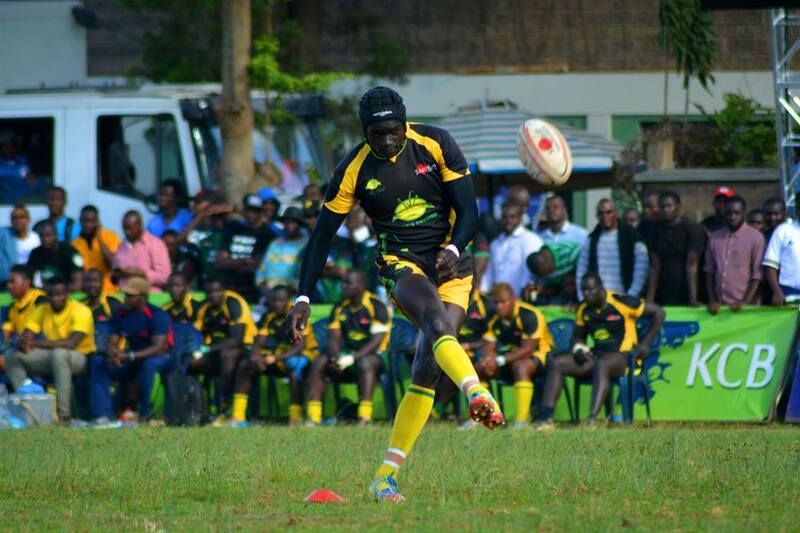 Fullback Philip Wokorach bagged a brace as leaders Kabras Sugar beat Kenya Harlequin 21-3 in the 9th round of the 2018/19 Kenya Cup at RFUEA Grounds on Sat Feb 9, 2019. Kabras ran in three converted tries against Kenya Harlequin's penalty. It was however the first time this season that Kabras have failed to win with a bonus. They host Homeboyz on matchday 10 as Quins head to Kenyatta University. The win, ninth of the season, takes Kabras to 44 points but the gap between and KCB has now been reduced by a point. The visitors produced a sublime first half as Wokorach, winger Kevin Keegan and fly-half Logan Basson combined well to lead 14-3. Lyle Asiligwa had taken Quins 3-0 up but Wokorach opened the scoring for Kabras courtesy of clever hands inside Quins' 22 after which he converted to make it 3-7. Another beautiful play saw George Nyambua bag Kabras Sugar's second that was converted by Wokorach to lead 14-3. Quins had a bright start to the second half but a number of knock-ons and forward passes saw Kabras punish them. Ambaka had a chance to set Frank Wanyama but his pass forward. Kabras quickly took the penalty with Kevin Keegan managing to assist Wokorach to score his second and convert.